​Manchester City manager Pep Guardiola has revealed that he still has a number of ambitions to fulfil after his work at the Etihad Stadium is done, eyeing a role as an international boss in the future, as well as a final job back at former club Barcelona. Guardiola is currently contracted to City until the end of the 2020/21 season. 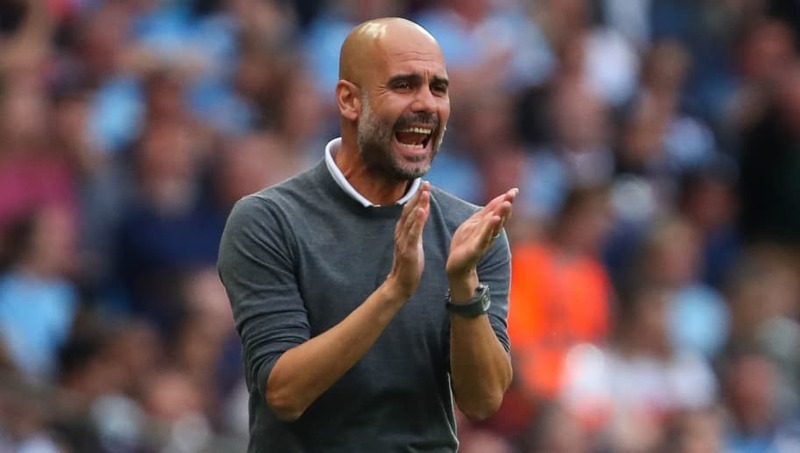 It remains to be seen whether he would want to move on at the end of that deal or sign a further extension to stay for longer, but he certainly won't be finishing his coaching career in Manchester. "If the opportunity comes up then I'd like to coach a national team, I'm sure of that," the 47-year-old told 1986 World Cup winner Jorge Valdano in an interview for Movistar+, via ​Marca. "If they want me, though," he added. Although when pushed if he would be interested in taking over Valdano's former national team, Guardiola replied, "Argentina? No, please!" The LaLiga, Bundesliga and now Premier League also made it clear that he wants his last job to be back at Barcelona where it all began, specifically in the club's famed La Masia academy the place where he himself learned his trade as a young player and later coach. "I will finish again where I started. My last [job] will be with Barcelona at La Masia," he said. For now, Guardiola faces the biggest challenge of his managerial career to date. No club has successfully retained the Premier League title since 2009, while Champions League glory also remains the ultimate ambition for Manchester City. Guardiola himself hasn't won the Champions League since 2011 with Barcelona.